ENCINITAS — At long last, the wait is over. 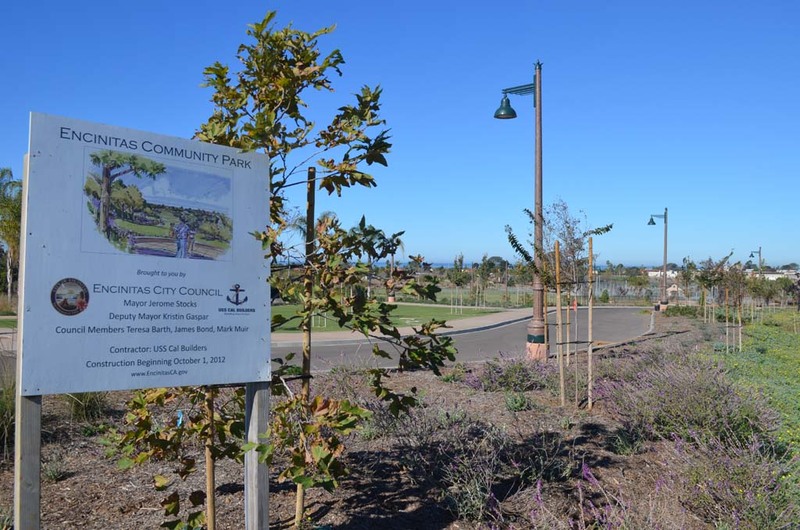 After decades of planning and construction, the Encinitas Community Park will be open to the public Jan. 10, the city said in a news release. The ceremony for the opening of the 44-acre park will start at 2 p.m. and include several ribbon-cutting ceremonies, including the dedication of the Maggie Houlihan Memorial Dog Park, which the council voted in June to name after the late city councilwoman, who was a staunch animal rights advocate. The event will also include a community picnic, complete with hot dogs, children’s games, pro-skater meet and greets, youth sports demonstrations, and a pet health expo. Other activities are also being planned. While the January date marks the official opening of the park, people have been using some of the park’s amenities — most notably its skate park — for several months. Planning for the $40 million park dates back to 2001 when the city closed escrow on the large property off of Santa Fe Drive, which was owned by the Hall Family. The final environmental impact report on the park was completed in 2008, and the first phase of construction began four years later in 2012. The process has not been without its hurdles. The Regional Water Quality Control Board slapped the city with a $430,000 fine when construction on the park site caused sediment-filled runoff to run into Rossini Creek. City officials are still negotiating a settlement with the state agency. Cardiff residents have also complained about the size of the park, which they are concerned will become a regional draw that will clog traffic in the surrounding community. Additionally, residents have expressed concern that the city would try to erect field lights on the park’s baseball fields, although the city has struck down such a plan. The park includes such amenities as paved walking paths, two restroom buildings, the 13,000-square-foot skate park (which has already been unofficially christened by local skating legend Tony Hawk), the dog park, one soccer field, three multi-use fields, and open turf areas.